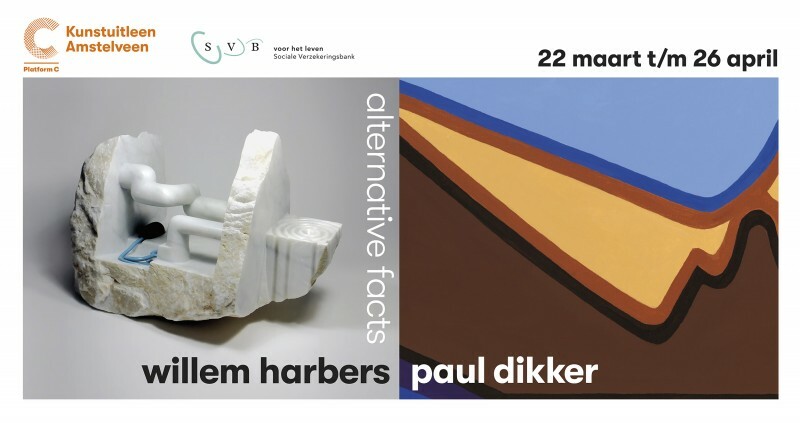 In a special collaboration the kunstuitleen Amstelveen and the SVB in Amstelveen present the exhibition: by Paul Dikker and Willem Harbers. 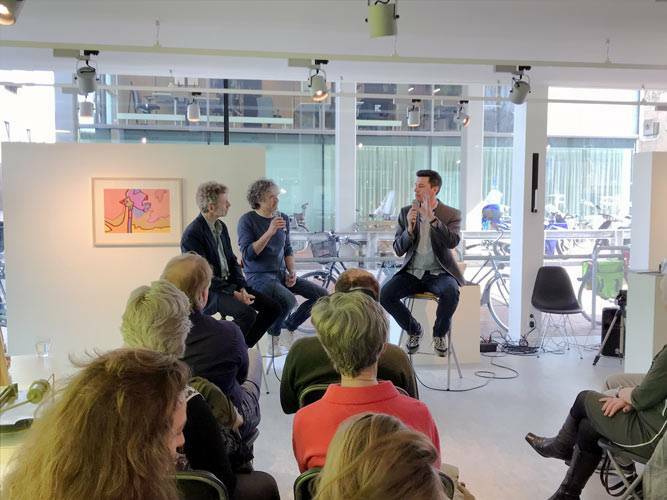 at kunstuitleen amstelveen and the sociale verzekeringsbank amstelveen. led by Xander Karskens, Artistic director at the COBRA museum Amstelveen. entrance is free but there is limited number of places! Language Dutch. Picasso thought that art is a lie that makes us realize the truth. 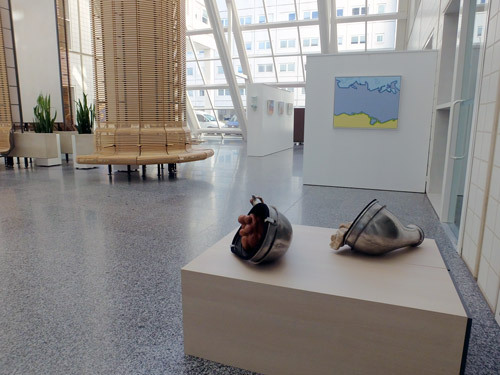 With a nod to Trump’s pragmatic views on truth and facts, both artists wonder how art relates to reality. Art offers an unconventional view on the world. Is art also a lie? Or does it offer an alternative to the destructive meritocracy in which our pivotal western society has degenerated? Paul Dikker (www.pauldikker.nl) creates his own universe with his clear paintings without fixed meanings. 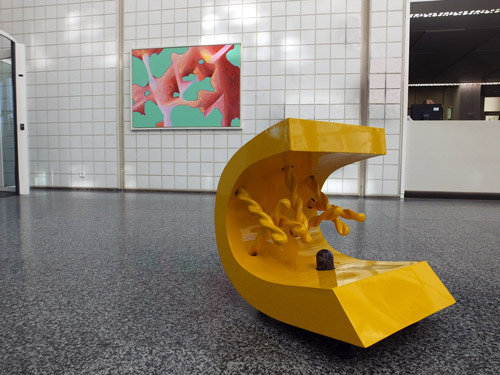 He studied political science at the UvA and followed his art education at the Rijksakademie van beeldende kunsten. He exhibits at home and abroad and, among other things, had a solo exhibition at the Oslo Museum. 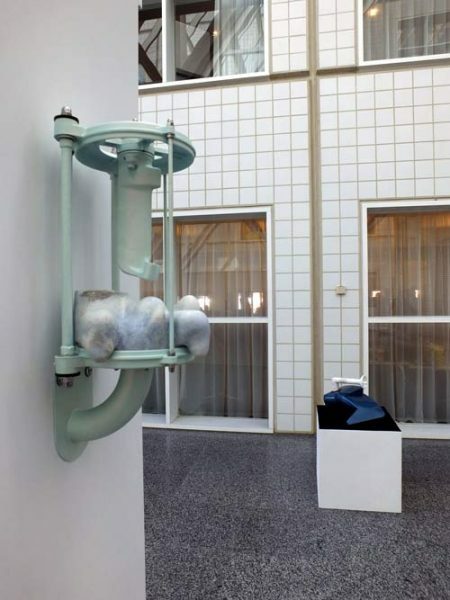 His work is in the possession of many private and public collections at home and abroad, including the Oslo Museum, Teylers Museum, ING, Shell, UvA, Ministry of Economic Affairs, SER and the Provinces of North Holland and Flevoland. His recent, non-figurative paintings can be regarded as inner landscapes whose meaning lies within the paintings themselves. Just as music is its own language without words, Dikker’s paintings also speak their own language: a visual language that directly touches the human soul without words. After completing the Gerrit Rietveld Academy, Willem Harbers went to study and work in the Italian Carrara. Here he met artists from all over the world. He regularly returns to his “second home”. Pure marble, pure nature from the heart of the Apuan mountains, has since been a part of his works. 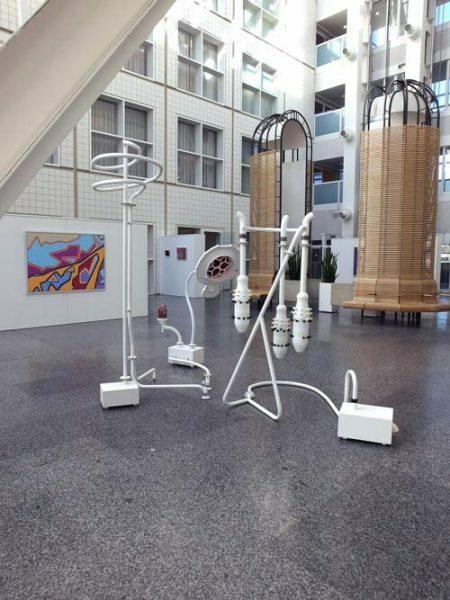 His sculptures that look like machines, instruments and appliances contain an inexplicable energy that becomes visible through special combinations of materials. 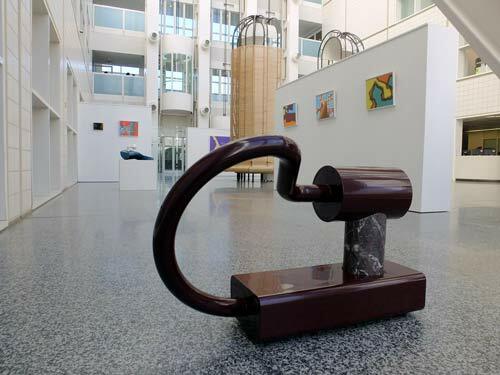 With this he creates a sculptural harmony. In fact, the images of Willem Harbers are pacemakers for the spirit, for the imagination. 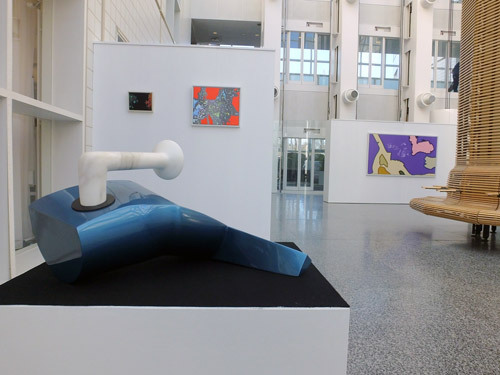 Willem exhibits at home and abroad in Germany, France, Turkey and Greece and is represented in the Netherlands by gallery Franzis Engels in Amsterdam and in Greece by gallery Donopoulos IFA in Thessaloniki. His work is in the possession of many companies and private collectors. 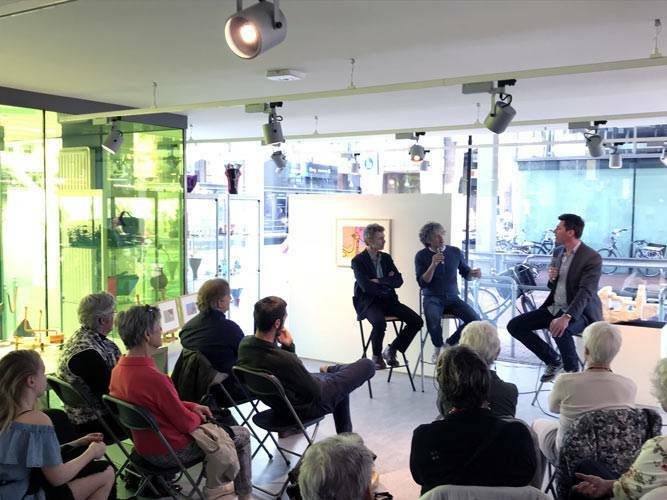 More information: kunstuitleen amstelveen and sociale verzekeringsbank amstelveen. More info about activities and opening will follow soon! 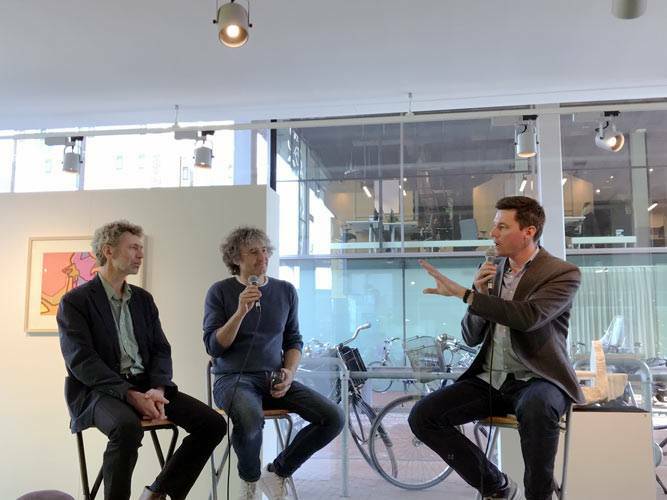 Artist talk and meet & greet with the artists at Platform C moderated by Xander Karskens, Artistic director at the COBRA museum Amstelveen.